Mengli Song, a principal researcher at AIR, specializes in research design, advanced quantitative methods, and evaluations of educational programs and policy. 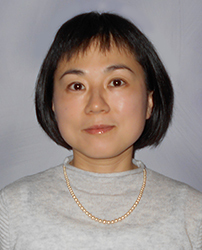 Dr. Song has more than 15 years of experience in educational research and evaluation. She currently serves as the principal investigator of an efficacy follow-up study on the impact of Early College high schools and a co-director of the Center on Standards, Alignment, Instruction, and Learning, both funded by the Institute for Education Science (IES). She also serves as the quantitative task leader for two large-scale randomized controlled trials funded by IES: Teacher and Leader Evaluation Systems study, and Impact Evaluation of Math Professional Development. Recently, Dr. Song served as the project director for the School Accountability Status and Outcomes for Students with Disabilities study funded by IES, and a co-principal investigator for the Study of the Impact of Mathematics and Science Partnership Professional Development on the Quality of Instruction in Middle School Mathematics Classrooms funded by the National Science Foundation. Dr. Song is a member of the Editorial Board of The Elementary School Journal and also a certified WWC reviewer. Her work has been presented at national conferences, and published as technical reports, a book, book chapters, and articles in peer-reviewed journals including Educational Evaluation and Policy Analysis, Educational Administration Quarterly, and Educational Policy.